About the Author: Sara Holland grew up between small-town Minnesota and the countless fictional worlds of books. She graduated from Wesleyan University and worked in a tea shop, a dentist’s office, and a state capitol building before heading to New York to work in publishing. These days, she can be found exploring the city’s bookstores or finding new ways to put caffeine in her bloodstream. 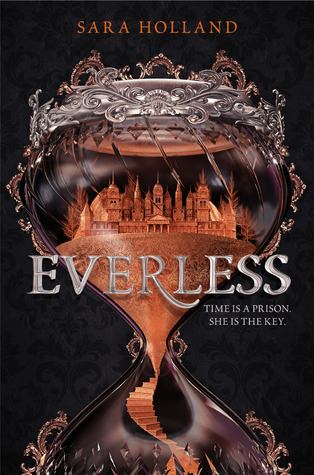 Everless is her debut novel. Visit her online at www.sarahollandwrites.com. Noteworthy experiences while reading this book: Wow I really loved the writing in this one it made everything really seem alive and stand out. The magic this book has is unlike anything I have read and I can't wait for the next book! Notes and Opinions: Looking for a new fantasy to read in 2018? Check this one out! The plot was great and it felt very original with a touch of things that we have seen before. The magic system in this one really stands out and I loved all the writing. The mystery is another thing this one had going for it. You just didn't really know what was going on and who to trust etc. I found it very engaging and its another one that I couldn't put down. I loved Jules and how the story started out. Although this book was not perfect it was very close and I can't wait for the next installment.